The success of our school is reliant on parents and members being actively involved. Parents are urged to support their children in the endeavor of learning German and should review the teaching materials to ensure that assignments are completed. The school cannot be effective as an educational institution without the active support and involvement of parents. Parents of enrolled children are expected to help e.g. with yard supervision, manning the snack shop during break times, before, during and/or after events, baking cakes for sale, photography, writing articles for the school newsletter, just to name a few. 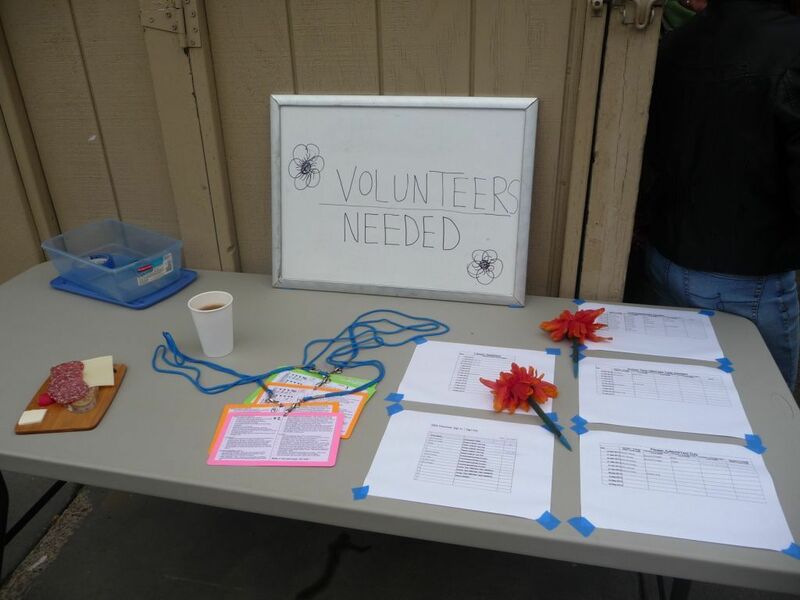 We ask parents to do 3 hours of volunteering per semester. A sign-up sheet is available in the office and online*. Parents can also choose not to volunteer and opt-out by paying $60 instead. All parents and members are also expected to join our Open House and General Membership Meetings held once per semester. During these meetings we will discuss the state of the school and decide further activities. Elections for the Board of Directors are held during the Fall Semester Parent Morning meeting. Please feel free to stay during school hours, drink coffee, have cake, relax, read the German paper, and chat with other parents in the snack room. This helps to build a stronger school community and is an easy way to keep current on our activities. * We are using an external online service called SignUpGenius. SignUpGenius is a FREE online tool for creating and managing group sign up lists. Our site is a private group sign up list with automated email reminders and “Swapping” ability for schedule changes.